The grass swing may still be a little far away, but Novak Djokovic doesn’t mind getting into groove for Wimbledon already. The Serbian tennis star appeared all keyed up for the prestigious All England Club tournament at the ongoing Indian Wells Masters. After his third-round match against Philipp Kohlschreiber was interrupted due to rain earlier this week, Djokovic headed out to have some fun on wet grass. No wonder, he played some slow tennis on an otherwise unplayable surface. 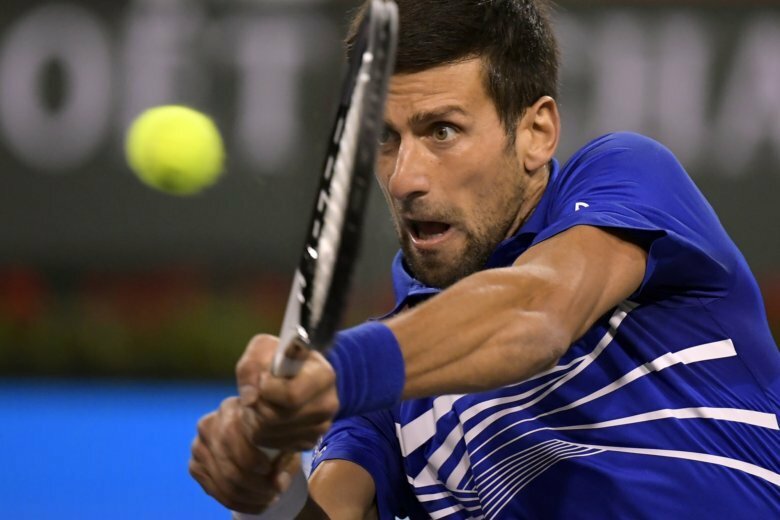 Djokovic went to suffer a stunning 4-6 4-6 defeat at the hands of Kohlschreiber. His campaign at the tournament is not over yet as he has made it to the semi-finals of the doubles event alongside Fabio Fognini of Italy. The duo is scheduled to lock horns with 6th seeds Lukasz Kubot of Poland and Marcelo Melo of Brazil later on Thursday.